Being a baker is a lot more than just knowing how to bake bread. Bakery and confectionery as a career is both an art and science. A baker makes various kinds of loaves, bread rolls, croissants, buns, pastries, cakes and savories by adding his own innovation to his basic knowledge of baking. Every course on baking and confectionery teaches how to weigh out and measure ingredients; mix, divide and mould dough, set the dough to rise, bake different bread and confectionery products and how to decorate, slice and wrap the final product. Mr.Gomes advises, 'Firstly, they should find out what the tastes of the native people are and price the items in accordance to the budget of the people. The bakery unit should be located at a place in the city, which attracts customers. The initial infrastructure may be of low budget and with small space. All is needed in a specialized oven, a marble top table, a mixie and a refrigerator in a small room. If a confectionery has to be set up an air conditioned room is mandatory.' Barbara adds, 'The products you make depends on the clientele, climate of the place and what ingredients are easily available. If you open a bakery in a warm country like India you can work with tropical fruits as they are easily available. A good baker should be able to adjust easily. Cream, butter and other ingredients may vary from country to country- recipes should be adjusted accordingly. If you are looking for a salaried job instead of starting your own bakery, here's where to look for a job for. Mr.Gomes of the National Institute of Hotel Management says, 'Our students have got lucrative jobs both in India and abroad as chefs in the stream of bakery and confectionery. In India our students are settled in Kolkata, Mumbai and Delhi with jobs in Taj Bengal, ITC, Trident and other starred hotels. Abroad they have been placed in various cruise lines - Miami Cruise Line, Norwegian Cruise Line and Apollo Cruise Line. In India the starting salary for this profession is Rs 5000 and abroad it is $ 800. The hierarchy of posts in bakery and confectionery are as follows : Chef, CDP and Commi 1.
my name is achit tiwari belongs to very small district lakhimpur kheri. i want to set up a bakery plant as their is no any other plant in my disrict. i have no idea abt the set up as i m very new to it but have desire to do something different so i just need ur help ur view which will help me in setting my plant. hi , i want to do internship with you please send me the details. mam i want to learn bakery & confectionery because i love cooking. i am happy with my job. it is only my hobby. Can you help me!!! please!!! Looking for for a chef in my Bakery in mumbai. I'd like to start a Baking plant in Jalgaon Maharashtra, primarily focusing on Bread segment and might get diversify further, into other categories based on demand.
. Please suggest me also how to start, which segment to start and what machinery are required. experience in leading Food & Beverages MNCs from production to distribution. Hence I am looking for good, sustainable partner for my venture. Please feel free to contact me by mail and relevant proposal. I am a startup specialist and I am looking for setting up an online bakery (actually really just a cake shop) with a small store in Delhi. I have a complete business model and strategy with a website and a phone app however, i really don't have cake designing and making skills. I am looking for a business partner or a baker with exceptional cake making skills to join our group. Our base location is Delhi NCR and that is the market we're planning to target. Anyone from Delhi looking for a cake baker job (only skilled people) or business opportunity please contact me (preferably on my mobile). sir i intrested in bakery and confectionery course. so i want to start my career in helper job. so i request to you give me an oppourtunity in bakery industyr. i am twlth passed. We are looking for a supervisor in hard boiled candy supervisor in manufacturing and pillow packing, a 2-3 month experience is also ok. please contact. I have no idea in bakery field, but I am interested to start small scale bakery business, mainly cookies/biscuit, patties and cake within a budget of 5 / 6 lac in south Kolkata. Please suggest me also how to start, which segment to start and what machinery are required. Let me introduce my self , My name is Gautam Kumar Sarkar; Bsc (Zoology) & PGDM (1st Class 3rd , Marketing ) with 25 years Exp. in FMCG with different big MNC s & Indian Corporates in State HQs, Urban , Semi urban & Rural Market of East . At present , I am working as Regional Sales Manager -East along with Bangladesh , Nepal & Bhutan in a FMCG organisation(Food ). In A line with my Technical Skills (Knowledge & Experiences ), I am looking for a change as Business Head -East (Based at Kolkata) in a growth oriented bakery & Confectionery Co. I look forward to talk to you in this regard. I WANT TO LEARN CAKE DECORATION IF YOU PLEASE GIVE ME YOUR CONTACT DETAILS. i have no idea in bakery field, but i m interested in this business. please suggest me , from where should i brought machine.raw material, skilled man. please suggest me also whole setup process and details of machinery. i have a budget of upto 10 lacs. please help me out. its urgent and necessity. Myself Vinod, 29yrs of old and i have interest in doing diploma in Bakery and Confectionery course. Will it be possible with this age criteria if yes than please suggest me best institute in Mumbai so that i am able to take addimission for this course. My husband is uneducated, but he has 6 years’ experience in bakery field. Now he is jobless cause of uneducated. He can read only in Hindi & Marathi. Where can get job him. I would like to join in bakery and confectionery course in Kolkata . Please share contact details . I am really encouraged and more motivated to start-up my own bakery. I am from Ajmer(Rajasthan) and planning to start up my career in Bakery & confectionary industry. I am on a budget of Rs40 lakhs and would like to cater all over Rajasthan in the near future basically starting from Ajmer. I seek great potential in Bakery business and would love to explore my cooking and baking hobbies and to make it my profession. I would love to get suggestions & guidance from the experts of this industry. I can be contacted through my Email-- harsh.mathur3110@gmail.com. I request the experts to contact me and provide me the right path to start up my own bakery. I would like to start with a small bakery making business in kerala, it will be great if you could please tell me what will be the cost of machinery that i need to buy to start with..
1. List of machinery with cost, Max production per hour by each machine. 4. Number of persons - skilled and unskilled - required. Any other details, including marketing, if you can provide. If you are giving training, please advise the details of course along with time frame. I am doing Rusk making course because Bakery Karigar not available. I want to start a unit of obove mention items in my town Jaipur Rajasthan. I am 38 age old. Very much interested to start a Bakery and Confectionery Business needs to know much more about these Industry and where i can learn in short period.i am based in kerala. Hello Madam- i am Puneet Kumar Bajaj wanted to enter in Bakery business after quiting my job.I want to start at Ujjain.Pls guide further,your help will be very much useful to me and for my future carier,i am 36 yrs. hi i am aman chhabra..I want to start a bakery in my place .I live in new delhi. Please guide me which type of bakery course should i join (short term)and if possible tell me name of bakery classes or institute. Also kindly suggest me what type of material, equipments require to start a bakery. Hi....I want to start a bakery in my place .I live in Thane (Mumbai).I do not have any idea about bakery. Please guide me which type of bakery course should i join (short term)and if possible tell me name of bakery classes or institute. Hi Pallavi, I am from Bangalore. I want to start a bakery in my place with an investment of Rs. 8 lacs to Rs. 10 lacs. I do not have any idea about bakery. Please guide me from where I can source bakery equipments, raw materials and good chef with creativity. I am confused whether I should go for Rotary Rack Oven or Conventional Deck Oven, Planetary Mixer etc. My mobile no. 08105554047 With warm regards, Balaji. We are planning to start bakery in Bhubaneswear. Need details of staffs and chefs and equipment required. Hi, i m Shraddha Goel from kolkata. I have done a lot of baking courses n have been taking orders and doing it from home. If anybody needs any kind of help in any kind of bakery products, kindly mail me your requirements. I want to start a bakery for making cakes, pastries etc. for selling in kolkata. Kindly give me idea about training courses in kolkata. i am 30 years and i am a housewife.I want to start bakery shop but first i am want to shortterm course of catering. Please suggest me. I've being baking cakes cookies etc. for my home need for many years and also take orders for wedding cakes. Now I want to start a small bakery which I can handle with minimum labour. We have two car sheds attached to the house can that be converted, one for the baking unit and the other for the outlet. The products I plan to make are cakes, cookies donuts and some bread based items (pizzas, rolls etc) for which I plan to outsource the bread base from good bakers initially. I've attended weekend courses for baking of bread but I have not reached the mark. Kindly give me more ideas and advice. Want to learn baking and start my own cafe. I am interested in starting a bakery in Hyderabad where do i get the products on bulk. Very much inertested to start a Bakery and Confectioney Business needs to know much more about these Industry in Kolkata. Could you please suggest any short term course for gathering more information and ideas. am opening an italian bakery, confectionery n cafe in delhi. i also will hobby classes in it. anyone interested to be partner can contact me at 8285813727. Hi, This is Moumita.. I'm 27 yrs old from Kolkata... I m an MBA professional, baking has been my hobby since childhood, now I wanna pursue as a career. Kindly suggest me where I can pursue Professional Course on Patisserie & Confectionery in Kolkata with an internship... My long-term goal is to own a bakery of my own... Waiting for your reply ASAP... Thank You.. I want to start a bakery business in Kolkata. I think a professional course in bakery will me in my business. Your advise is required in this matter. Plz suggest in Kolkata from where I can do this course. Experinsed shef for my bekery, how can I search. i nwanted to learn bakery course. I am very much interested to do a bakery and confectionary course to be a professional.I am 40+. I live in kolkata. If there is any such course which has no age limit. And I have to do the course in Kolkata only. I m a baker and i have a good experience becoz its started by my father and my business is running since 1978. Nice artical.My wife is a housewife who loves cooking. She want to start a bakery business. Please advice where to enroll for the training.She is 40 +. Will it be possible for her to join an institute for short course in baking ? Nice artical. I am a housewife who loves cooking. I want to start a bakery business. Please advice where to enroll for the training. I am 40 +. Will it be possible for me to join an institute for short course in baking ? I want make my carrier in bakery, I don't have any kind of degree, plz suggest me what I can do? I am looking for a chef who is good at desserts , confectionery and breads for my catering business in Bangalore. Pls email me at the earliest. I am looking for a freelance or part time baker for pastry , confectionery and breads for my catering business in kolkata. Pls email me at the earliest. You dhould have a flexible approach and be willing to learn. I completed my hotel management studies in this year. I am interested to work in bakery department. I need some basic knowledge to start my carrear. please give me some tips mam. sir i am just fresher and i am interested in bakery department.how can i make a good knowledge in bakery. Hi, i want to start my bakery business from home. but i dont know where to buy big ovens for the business. Please can you suggest me where can i get one. Mam I am a fresher. I'm looking for learning baking items in south Kolkata. If anybody can help me in this matter... ! Thanx in advance. i have a small bekery and wants to learn more bakery items and cake icing . 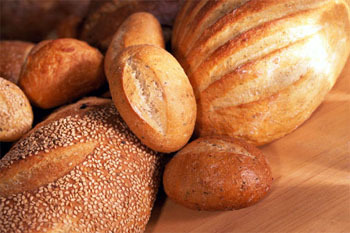 Hi, I'm very much interested in bakery and want to do bakery course in Bangalore so could you please help me . I have already completed hotel management degree. I need to know weather u have Ur books sold in market about bakery stuff, if not where do I get the details, I m interested in learning bakery items. i want to join baking, cake decorative, and pastries making course, plz suggest me the courses available in banglore. Hi want get the training for opening my own bakery shop but i don't have the knowledge of it, please suggest me something from were i can do that type of course. i'm like to start new bakery shop in my native (madurai), i do't have knowledge about bakery ,but i plan to join bakery course in Bangalore next month(1 month course), please advice me the same ,what are all thinks to do start the bakery. I know bakery & confectionary work very well.I need job thank you. I am looking forward for a career in Bakery hence need training. Please help me find the details for the course for learning Bakery in Kolkata. i want to join cake baking, cake decorating and pasterie making classes. Pls suggest me where could i learn these professionally in Kolkata. Madam im Paul from kolkata ,India.Im looking for a bakery job as Chef De Party in hotel ,catering in kolkata city.can u please help me to find a job.i have 8 years experience in the similar field. I need to know where to take internship training. I have completed Degree in Hotel Management. I would like to do Internship course in Confectionery and Bakery Dept. So pl assist me for further step. i.e In which country i will such courses? hieee ma'am. i recently done my graduation in HM.& i want to do some course in bakery for additional qualification. so, plz suggest me some course name and institute..
Hi I am an M.Com graduate. I would like to take up a course in bakery as i wish to set up a small business of my own in this field. Could you please suggest an institute or a school in Kolkata where i can go for this course. Thank you awaiting for your reply. hi.it was great to go through your ideas on confectionery.i want to start a confectionery business with a minimum investment.please suggest and guide me.. I want to pursue a career in this field. Is there requirement for interns or kitchen helpers in hotels & restaurants who have done the baking coarse. what kind of openings are there for me? after doing this coarse? so should i start business after complision of MMS or wait few more year for getting an experience from same industry. Suggest me...Thnx. I am planning to start a bakery near to my residence or in my home only, can you please give some suggestions and tips what are the basic necessities and equipment needed and how much investment to be put.? hi ,mam currently i m doing my degree in h.m frome Mumbai university,iwant to make my career in bakery & confectionery so please suggest me a ANY SPECIAL course for the bakery which is fruit full to me. Hi i am 37 yrs old & wish to start a career in bakery & confectionery, after completing my coarse will i get a job in this field..or is there an age criteria? need some infos reg the courses you offer. I need to know wheather u have ur books sold in market about bakery stuff, if not where do I get the details, I m interested in learning bakery items. Nice to see your artical. What are you doing at present? Wish you all the best in life.